Let your child’s imagination soar rain or shine with the Pacific Play Tents Safari Tent and Tunnel Combo. 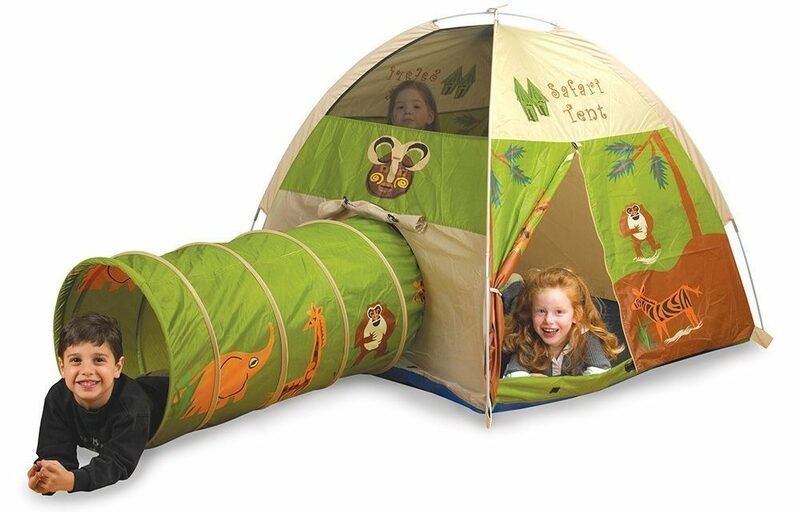 Your child will enjoy hours of fun with this safari themed tent! Put it in your backyard and let your child feel like they are on a jungle safari or keep the tent safely inside and make it a great adventure spot, a reading nook or a funs storage hang out for kids. The front door closes with Velcro which allows easy access and security. The tunnel accessing the tent is constructed of spring steel with a nylon cover and a padded interior. No scraping knees when crawling to their tent! The sturdy shock corded poles are made for easy assembly. 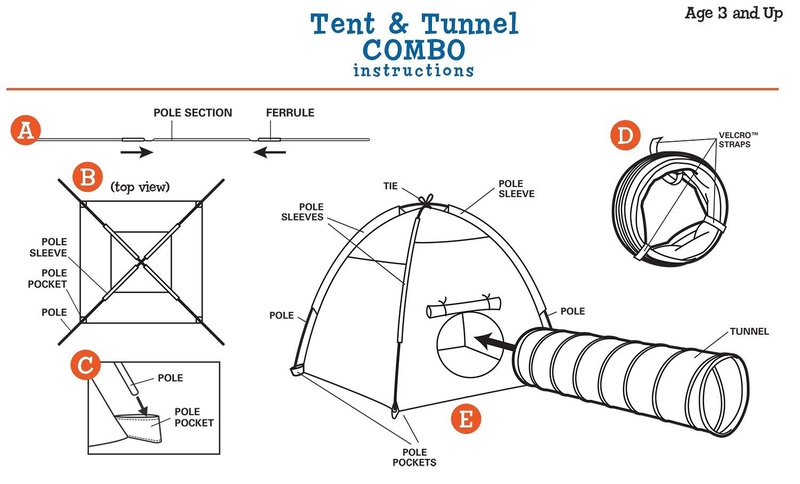 Let your children help construct this tent! It’s safe and so easy to assemble! If you choose to put the tent outside, it is durable, washable and water resistant with a polyethylene floor. The tent comes with its own carry bag and the tunnel flat for easy storage! We love how durable the tent is! For ages three and up, all of your children can play actively in the tent. 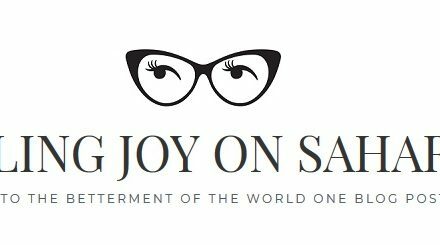 It’s built to handle your children and give them hours of fun! The Pacific Play Tent Safari Tent and Tunnel is perfect for cooperative play. The tent comes with mesh ventilations panels at the top for airflow on those hot days as well as easy viewing for your children. After testing the Pacific Play Tent Safari Tent and Tunnel on 4-7 year olds, we were so interested in how many ways the tent was being used! Our seven year old girl used the tent to set up her own personal book nook inside. Filled with comfortable pillows and placed in her room, this litter girl had created a quiet space where she spent hours reading and hanging out with her friends. Our four year old boys and girls took the Pacific Play Tent Safari Tent and Tunnel outside for play! They made it into their personal fort, staying warm on the cold day. The parents were amazed how much outdoor time they had got that day and how it was wonderful to see healthy flushed cheeks of the children after hours of fun! Expeditions, ‘camping out’ and an epic hide and seek game was only the beginning. The tent was loved by the four year olds! After quickly hosing down the tent and letting it dry outside, it served a new purpose on a rainy day for our six year old boy and his friends. The tent was pitched in the basement and the kids were amazed that they could camp out inside for a sleep over! After popping some popcorn and giving them a few flashlights, the kids slept in and around the tent all night and were so excited. The added tunnel is just that perfect touch as the children crawl into their safe space. It did not dislocate from the tent even when the kids were crawling furiously in and out of their hideaway. We were impressed with how durable the tent is and how it withstood four six year olds. This tent is also great to be packed up and used for a child’s birthday party. 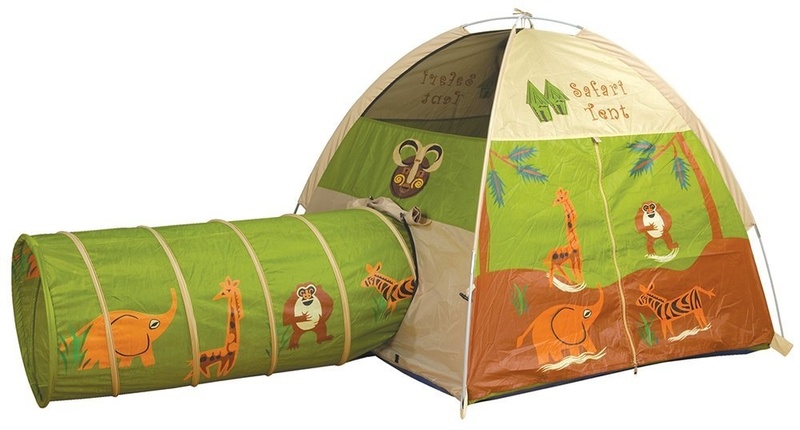 Use the tent and incorporate it into a fun jungle or safari themed party. We also recommend it for the grandparent’s house. Since it is so easy to pack up and some grandparents do not have a lot of activities available, this tent will be hours of fun for your children and a great way to bond with their grandparents. For endless fun, promoting healthy activity and bonding with family and friends, choose the Pacific Play Tents Safari Tent and Tunnel Combo for your family. 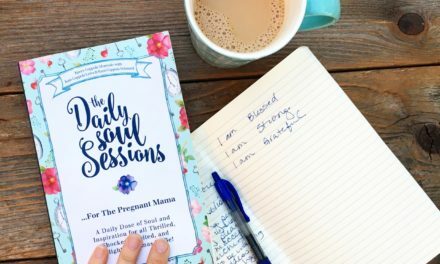 Lose Weight Post Pregnancy With HCG Diet: How Does It Work?